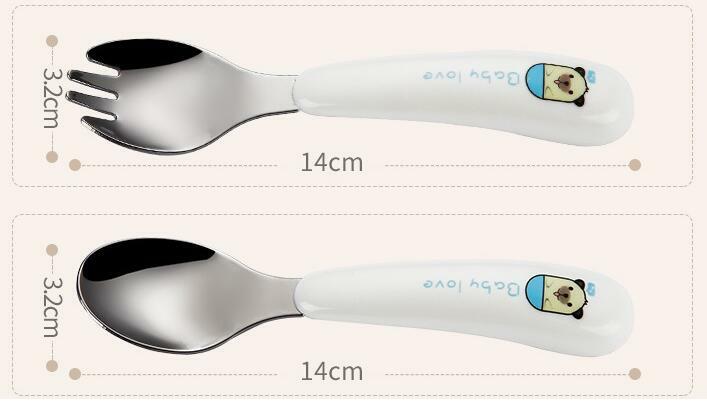 Recently , baby cutlery is becoming very popular . Lots of our Europe & America customers placed order to us . Of course in China , this market is especially big . It will be same as foreign side . Because Parents wanna give the best to their baby . Below is one of the hot item . Our Item number is BC5249 . We will use 18/10 food grade and rusty stainless steel to make it . Whether at travel or at school, SZ Brilliant baby utensils is better for your child to use. The spoon is easy to scoop food but not to deep to put into mouth. The fork tines are effective to pick up food but not too sharp to protect litter delicate fingers. Two sets of utensils are in the cases so you can take both of them out. Durable stainless steel tips are dishwasher safe and the entire silverware set is BPA free. Parents can purchase our product at ease because we make our products that are of the highest quality and no harmful substances. Baby table manners starts from SZ Brilliant safe eating set and you can just try an on the go feeding. Contact us for inquiry . We have lots of different items . Let's make the best for your baby ! They deserve it .